Driven by passion, Oaks owned by Minor Hotels is one of the world’s fastest growing hospitality companies. Armed with a new brand direction for their Australia and New Zealand properties, Minor Hotels approached Cargo Crew about crafting a new uniform wardrobe to help reflect their shift to “creating guest experiences beyond expectation” for their Oaks Hotel & Resorts brand. 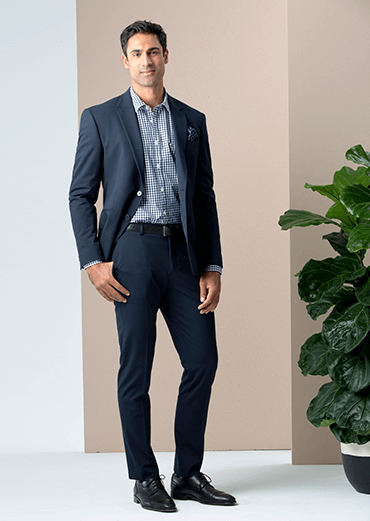 The capsule wardrobe needed to be modern yet relaxed to elegantly capture the simple sophistication of the Oaks brand, while setting the perfect tone for professional service and exceptional first impressions. Inspired by their brand vision, we created a custom-look modern suiting range for their Front-Line team and Hotel Managers, with Taylor Suiting, Margot Blouse and Soft Knits. 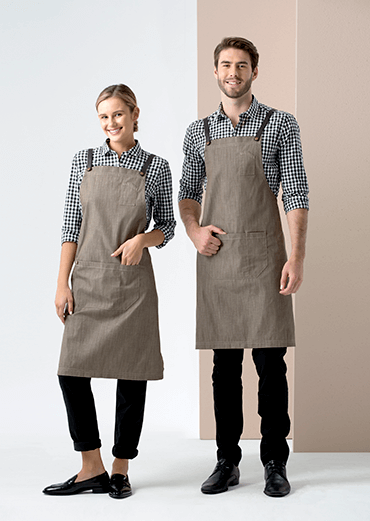 As well as a restaurant look for their Food & Beverage team featuring our famous Henry Bib Apron in Mocha and Frankie Check Shirt in Black & White. Led by design, the all-new uniform range was thoughtfully crafted to ensure comfort and durability, with quality fabrics and expert tailoring key to each piece. United by a sophisticated modern palette, we paired a versatile canvas of light and dark neutrals with calming blush and confident navy. We curated a range of beautiful fabrics and patterns, from cotton and canvas, to gingham and pinspot. Comfort, style and ease of wear were key, which is why all styles, excluding blazers, are machine washable. From checking in valued guests to delivering a superb dinner service, we worked in partnership with Oaks to ensure that the team had a beautifully redesigned wardrobe that was all about empowering each of them to look and feel their confident best. To celebrate and support the new uniform launch, we created the first edition of Minor Hotel’s Wardrobe Lookbook & Style Guide to lead and inspire their teams. With photoshoot and creative produced by Cargo Crew, the new Lookbook & Style Guide explored the plethora of ways the new multi-piece wardrobe could be worn, to ensure each member of staff always put their best foot forward. We combined styling tips for summer and winter looks, with grooming, care and size guides, to help showcase the relaxed, sophisticated style options of their new redesigned wardrobe.